This Pat Bagley cartoon appears in The Salt Lake Tribune on Friday, Feb. 1, 2019. This Pat Bagley cartoon appears in The Salt Lake Tribune on Thursday, Jan. 31, 2019. This Pat Bagley cartoon appears in The Salt Lake Tribune on Wednesday, Jan. 30, 2019. 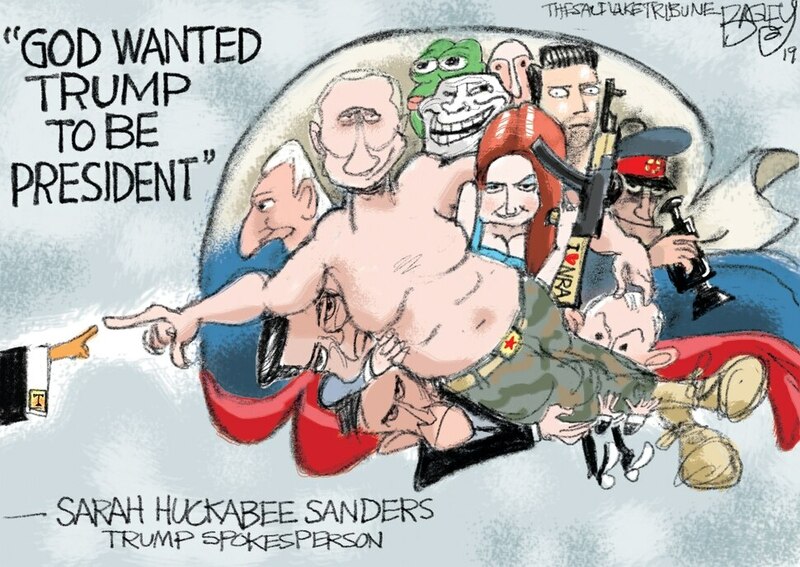 (Pat Bagley | The Salt Lake Tribune) This Pat Bagley cartoon, titled “The Will of the People,” appears in The Salt Lake Trib... This Pat Bagley cartoon appears in The Salt Lake Tribune on Sunday, Jan. 27, 2019. This Pat Bagley cartoon appears in The Salt Lake Tribune on Friday, Jan. 25, 2019. (Pat Bagley | The Salt Lake Tribune) This cartoon by Pat Bagley titled Colorado River Compact appears in The Salt Lake Tri... (Pat Bagley | The Salt Lake Tribune) This Pat Bagley cartoon appears in The Salt Lake Tribune on Tuesday, Jan. 22, 2019. This Pat Bagley cartoon appears in The Salt Lake Tribune on Sunday, Jan. 20, 2019. 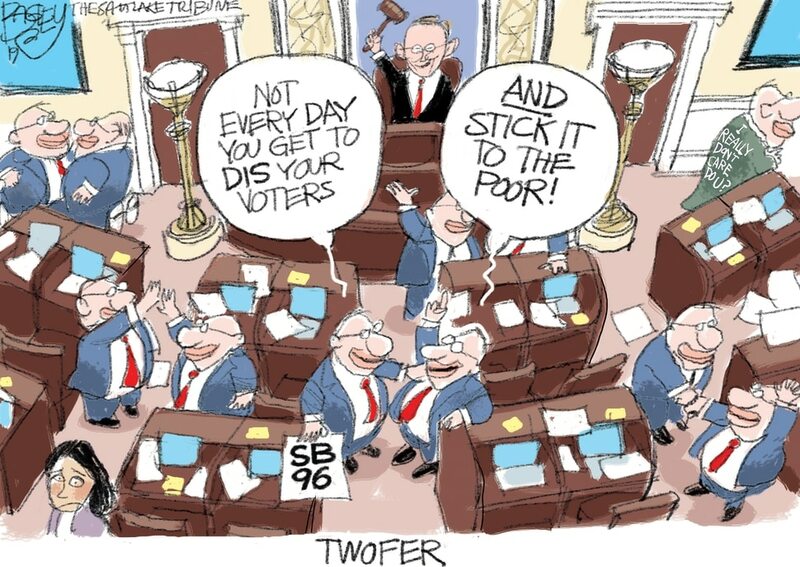 (Pat Bagley | The Salt Lake Tribune) This cartoon by Pat Bagley titled Proud Shutdown Parents appears in The Salt Lake Tri... This Pat Bagley cartoon, titled “Toxic Masculinity,” appears in The Salt Lake Tribune on Thursday, Jan. 17, 2019. This Pat Bagley cartoon appears in The Salt Lake Tribune on Friday, Feb. 1, 2019. This Pat Bagley cartoon appears in The Salt Lake Tribune on Thursday, Jan. 31, 2019. This Pat Bagley cartoon appears in The Salt Lake Tribune on Wednesday, Jan. 30, 2019. (Pat Bagley | The Salt Lake Tribune) This Pat Bagley cartoon, titled “The Will of the People,” appears in The Salt Lake Tribune on Jan. 29, 2019. This Pat Bagley cartoon appears in The Salt Lake Tribune on Sunday, Jan. 27, 2019. This Pat Bagley cartoon appears in The Salt Lake Tribune on Friday, Jan. 25, 2019. (Pat Bagley | The Salt Lake Tribune) This cartoon by Pat Bagley titled Colorado River Compact appears in The Salt Lake Tribune on Wednesday, Jan. 22, 2019. 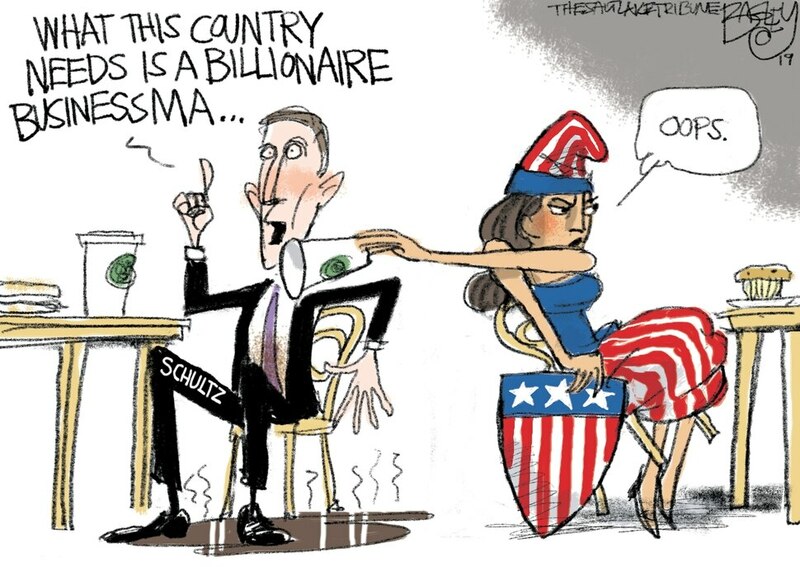 (Pat Bagley | The Salt Lake Tribune) This Pat Bagley cartoon appears in The Salt Lake Tribune on Tuesday, Jan. 22, 2019. This Pat Bagley cartoon appears in The Salt Lake Tribune on Sunday, Jan. 20, 2019. (Pat Bagley | The Salt Lake Tribune) This cartoon by Pat Bagley titled Proud Shutdown Parents appears in The Salt Lake Tribune on Friday, Jan. 18, 2019. This Pat Bagley cartoon, titled “Toxic Masculinity,” appears in The Salt Lake Tribune on Thursday, Jan. 17, 2019.